At WestView Pools, we understand your backyard is more than just your pool. It’s a complete living space that you want to enjoy to the fullest. 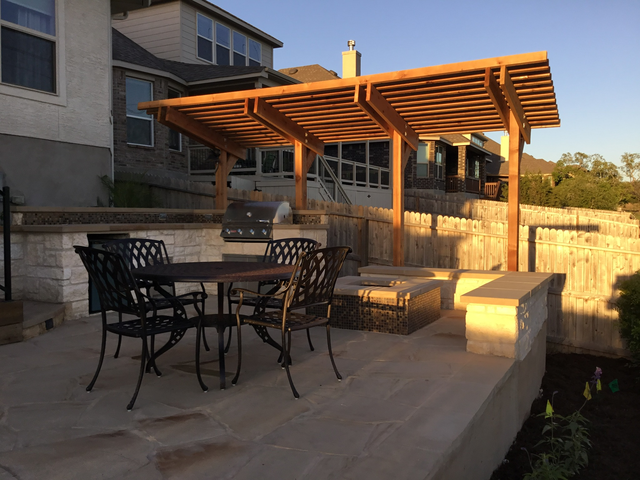 An outdoor kitchen can bring your backyard get togethers to a new level of excitement. From the basics like grills and mini-fridges, to beautifully designed bars and pizza ovens, we can bring your backyard entertainment dreams to life in a way that’s customized to your particular wants and needs. View our gallery of outdoor kitchens to see some of our unique designs, and gain inspiration. Call 210-370-7080 today to schedule an appointment.